Prof. Shashidhar M has a B.E. in Electronics and Communication from Sri Siddhartha Institute of Technology (VTU) and an M.Tech. degree in VLSI and Embedded Systems from Dayananda Sagar College of Engineering, (VTU), Bangalore. He has nearly 6 years of teaching experience in various Engineering colleges. 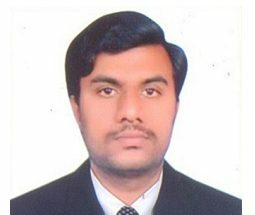 He has published several papers in national and international journal including IEEE. He has mentored several graduate and undergraduate students for their Project thesis. He is an Associate Member of the Institute of Engineers (AMIE).